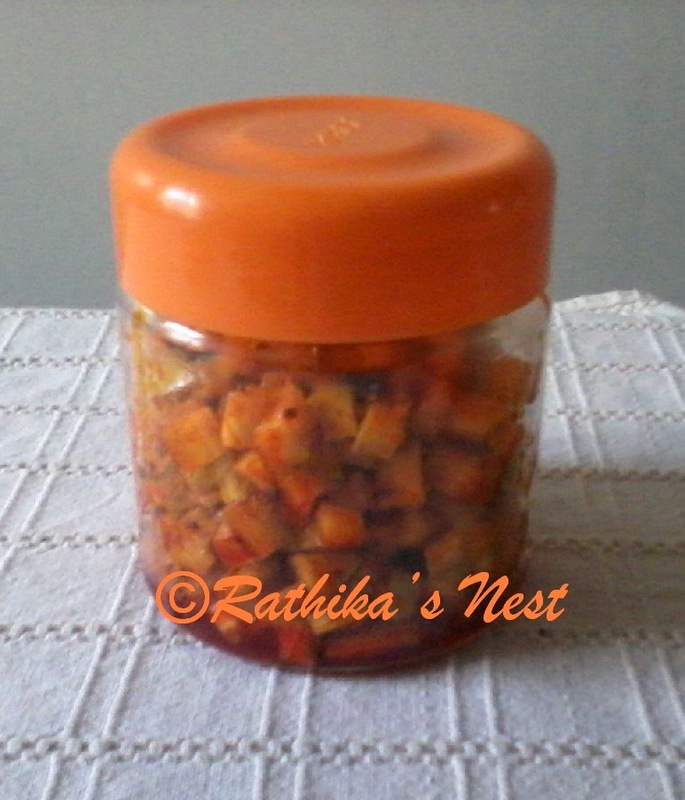 Of the various pickles that can be made, mango pickle remains the most popular one. 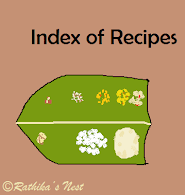 It is easy to make and goes very well with curd rice. 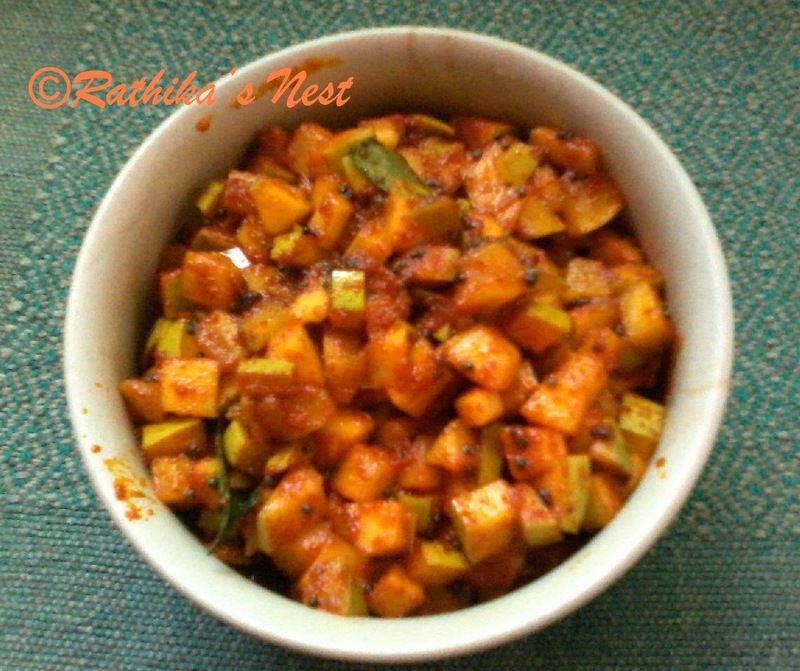 *Though any variety of raw mango may be used, I get best results with ‘kili mooku mango’ (கிளி மூக்கு மாங்காய்). Traditional Method: Wash and cut the mango flesh into tiny pieces. Place the mango pieces in a dry jar. Add salt and mix well. Heat oil in a kadai, add mustard seeds and when they start to sputter switch off the stove. Add the seasoning to mango pieces. Now, add red chilli powder, asafoetida, turmeric powder and methi powder, and mix well. Allow the pickle to stand for a day before using. Another Method: This slight variation works well for me. Wash and cut the mango flesh into tiny pieces. Heat oil in a kadai, add mustard seeds and when they start to sputter switch off the stove. Add the cut mango pieces and salt. Mix well. Add red chilli powder, asafoetida, turmeric powder, methi powder and curry leaves, and mix well. Heat on low flame for a minute and switch off the fire. Allow the pickle to cool and then store. How to prepare methi powder: Roast required quantity of methi seeds in a kadai on medium flame till the seeds turn reddish in color. Remove from fire. Cool to room temperature and powder the seeds in a mixer-grinder. You may use the mortar and pestle to powder small quantity of methi seeds.